Last January, Patricia Lanney was given a notice to quit her home of six years. She and her partner left in June, she says. They couriered keys to the landlady and sent a letter asking for their €1,000 deposit. But they got no reply, Lanney says. She sent another letter, and a text, she says – and got a text back saying the deposit wasn’t being returned. It took her eight months to go through hearings at the Residential Tenancies Board and finally get her deposit back, she said. That’s a process that, she thinks, could have been made easier if there were a deposit-retention scheme – something the government promised long ago, but has since then offered few concrete updates on. The government promised it would bring in a deposit-retention scheme in its 2011 programme for government. Four years later, it brought in the Residential Tenancies (Amendment) Act 2015, which allowed for the creation of a deposit-retention scheme. Under the scheme, the RTB would hold a tenant’s deposit once the landlord registered the tenancy and keep it until the tenancy ended. It would release the deposit once the landlord and tenant agreed. In the Dáil last November, Fine Gael Housing Minister Eoghan Murphy said things have changed since the government came up with the 2015 scheme. Getting “the best value from public funds” was an issue, he said. He also said that disputes relating to deposits “are no longer the most common dispute type referred to the RTB”. Threshold says, though, that it’s still seeing more than 2,000 complaints each year from tenants that their deposits have been unjustly retained. The Residential Tenancies Board’s (RTB’s) annual report for 2017 shows that about 12 percent of disputes brought to the board related to landlords not returning deposits, making that the third most common cause of disputes. In 77 percent of cases where the retention of a deposit was challenged, the deposit was fully refunded to the tenant – and in another 15 percent, it was partially refunded, the report says. Back in November 2012, Threshold estimated that landlords were keeping deposits worth up to €2 million, a spokesperson for the housing charity said. When tenants don’t get deposits back, it can impact on their future housing. “The unlawful retention of deposits – often two months’ rent – can make the difference between someone being able to get a new tenancy or becoming homeless,” said a Threshold spokesperson. When Jay MacDonnell was moving out of a home in 2016, his landlord didn’t give his deposit back, he says. “It was very stressful at the time. If it weren’t for the fact I could borrow the deposit amount from my parents I would have been in serious trouble,” he says. MacDonnell took a case at the RTB, and won, but the landlord appealed the decision and they had to go to tribunal – where they settled during one of the pauses when members ask if the parties can find common ground. He got 85 percent of his deposit back, he says. He took the deal in part because he was aware of how limited the RTB was in its resources to enforce any ruling. The cheque was there, so he took it, he says. A spokesperson for the Residential Tenancies Board says it has a number of concerns with the draft scheme as it stands right now. Some of its concerns include a “cooling off period provided for before a deposit is returned to the tenant which would result in deposits being returned at a slower pace than the market currently does”, they said, by email. The RTB has put forward possible changes that would make the scheme more practical, said the spokesperson. It couldn’t share the submission, though, they said. But the current system is time-consuming too, say some tenants. “I was lucky at the time as I was only working two to three days a week and I had the time to sort it out,” says MacDonnell. Some kind of deposit-retention scheme would eliminate the personal friction, and issues around greed or vindictiveness, says MacDonnell. At the moment, the system almost incentivises landlords to hold onto deposits, MacDonnell says. “The worst thing that can happen to them is they have to give it back and the best thing that can happen to them is you don’t make an issue and they get to keep it,” he says. 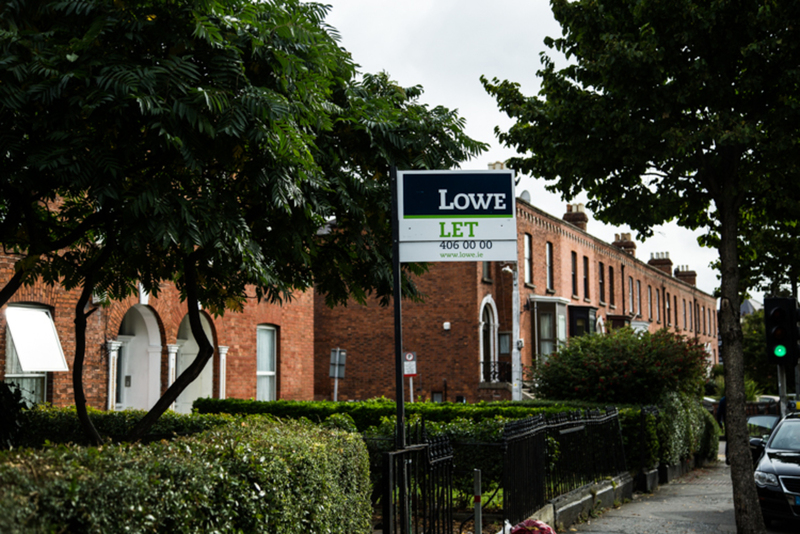 The problem will only be solved when deposits are no longer held directly by landlords, a Threshold spokesperson said. There are gaps, too, when it comes to deposit-retention at the moment, they said. Also, people in informal arrangements don’t have access to the RTB – and so can struggle even more to get deposits returned, they said.